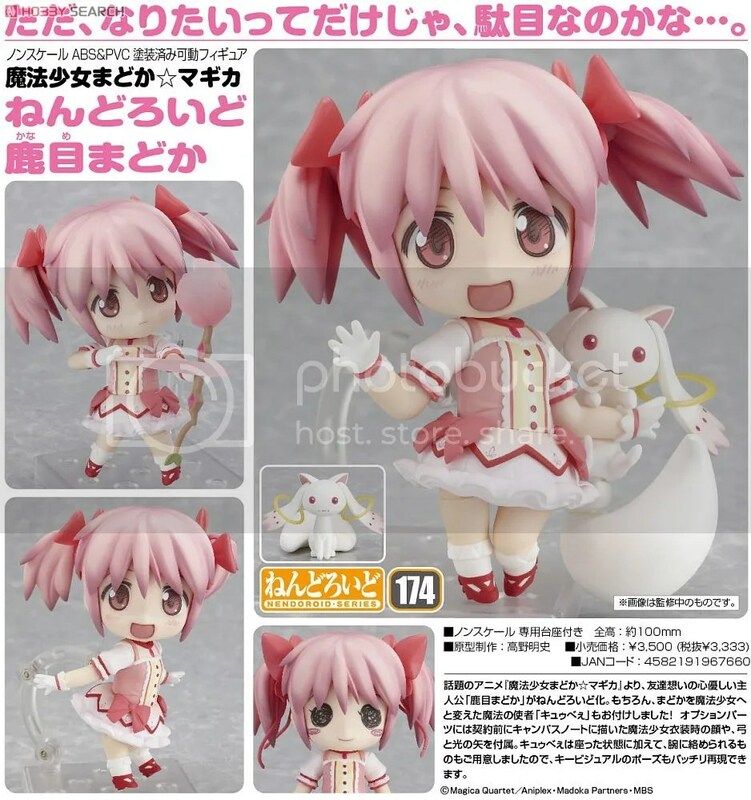 Beware Of The Fake Nendoroid Madoka | Wcloudx (kumo)'s Blog - Ramblings about Figures, Gunpla, & More!! Good Smile Company updated their Site with new additional information on some of the counterfeits that are currently on sales now. This time featuring ”Nendoroid Kaname Madoka” by GSC. – Take note of the Head Joint. Fakes have them blended together. – Take note of the Waist Joint. Genuines are transparent in colour. – Take note of the Bow Colour & Connector. Genuines have lighter colour and see-through. – Take note of the Stand colour. Fakes are transparent. – Take note of the Hair Joints. Genuines are the same colour as the hair. – Take note of the Ribbon Colour. Fakes are more reddish. – Take note of the Skin Colour. Fakes have darker tone and shade. – Take note of the Hair Colour. Fakes have darker tone and shade. – Take note of the Gradient of the Eyes. Fakes don’t have them. – Take note of the Inner Package Design. Fakes have different sizes. This entry was posted on April 21, 2012 at 10:35 pm and is filed under Figures, Good Smile Company, news. You can follow any responses to this entry through the RSS 2.0 feed. You can leave a response, or trackback from your own site.